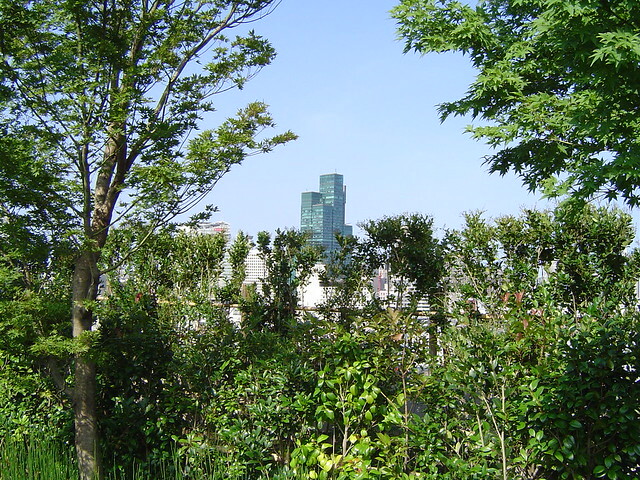 If there is a chance to google map year 2000 and 2010 of the center Tokyo, the number of skyscrapers (most of them -- horrendous architecture) is not the only difference you'll notice. 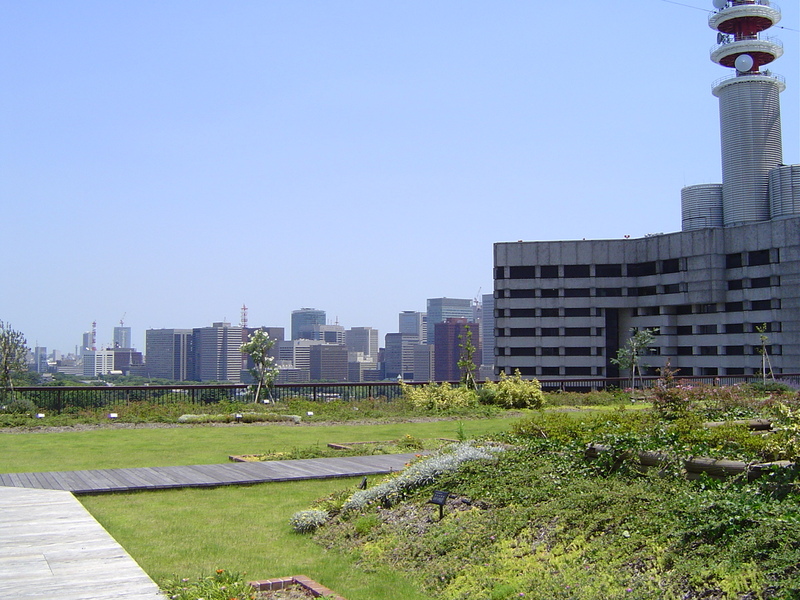 Tokyo's rooftop became greener, accommodating parks and farms. 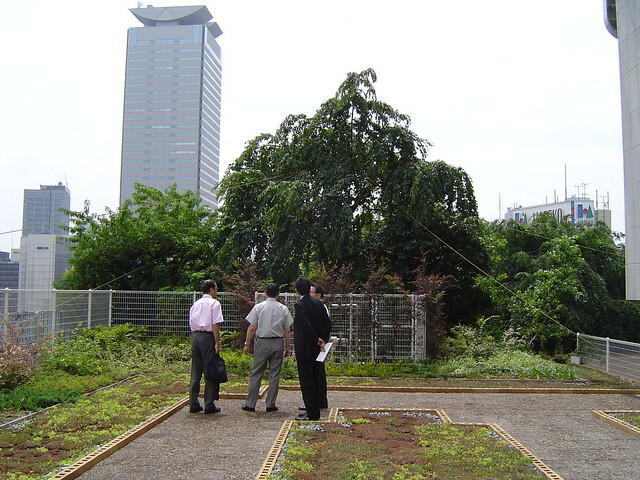 The drive of rooftop green-ization occurred in 2001. 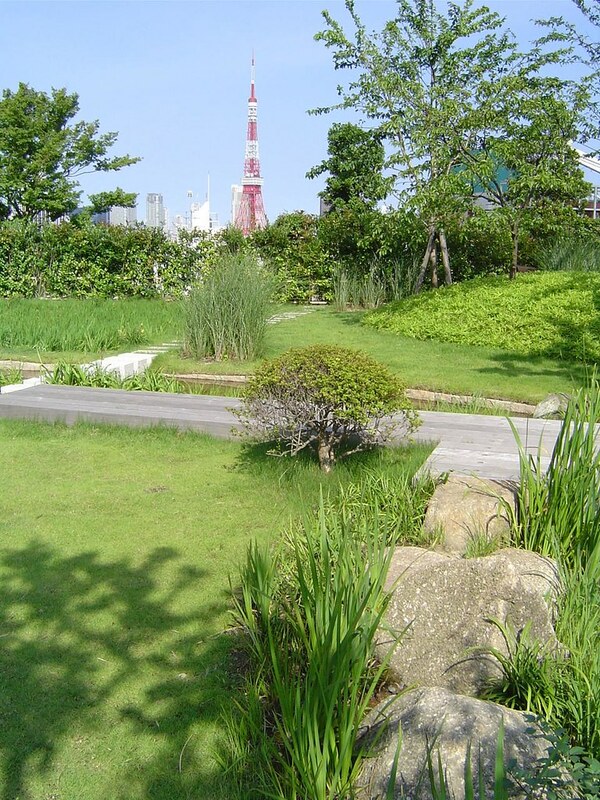 The Tokyo government created new regulation, which enforces newly development projects with over 1,000m2 of space (250m2 for government-owned) to allocate some green space within the site. The reason -- fight against the heat-island effect. There are 2 ways to allocate this green space. One is on the street level and the other is on the rooftop. 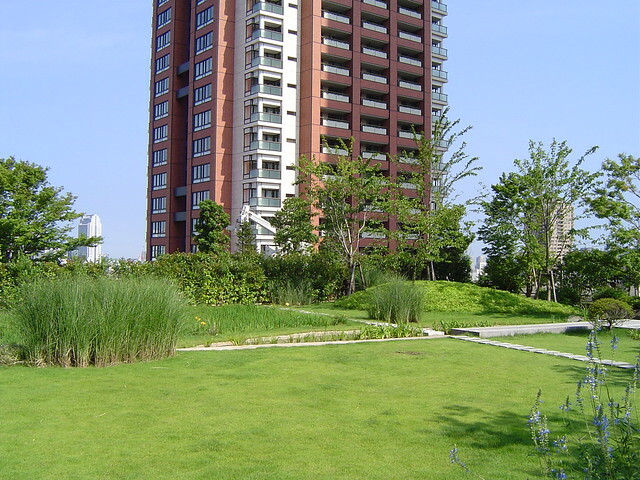 Regardless to say, many developers preferred the latter to maximize the usage of the land. 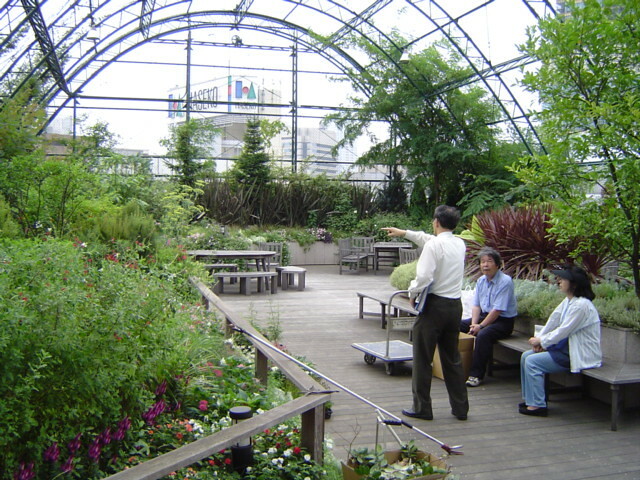 Rooftop garden is a floor-layout strategy, used frequently on shopping complexes because of its "shower effect" (Japanese term). For a shopping complex, there's a tendency to allocate popular stores on the top floor of the building, so that shoppers are forced to make downstairs-trip when exiting. (and hopefully, they might stumble upon unexpected shopping opportunity.) 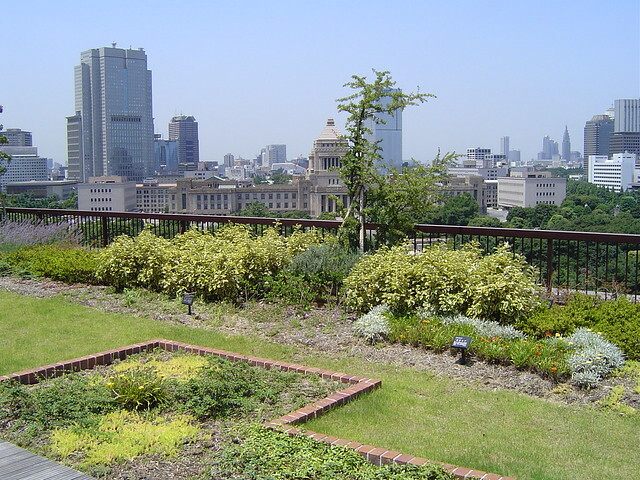 A rooftop garden (which is located on the very very top floor for an obvious reason) clearly creates this ascending opportunity. The story continues -- rooftop usage just got edgier -- rooftop "farming".